This past summer, Pacific Crest was awarded a grant from Los Angeles County Supervisor Don Knabe’s Arts Education Partnership Program (AEPP). The grant supported the instruction of the 2016 Drum and Bugle Corps. A team of more than 45 artists work with Pacific Crest. They include music educators, choreographers, clinicians, and arrangers/composers — all of whom help our students realize a superior level of performance excellence. This grant will help ensure continued support for them. 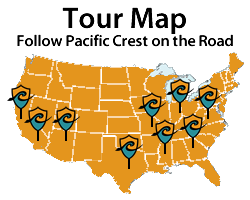 Pacific Crest has received an AEPP grant each year since 2008. The total amount awarded has exceeded $62,000! 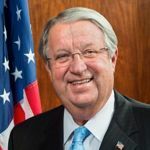 Supervisor Don Knabe was first elected to the Los Angeles County Board of Supervisors in November of 1996 and was overwhelmingly re-elected in 2000, 2004 and 2008, and 2012. Knabe has a true passion for the arts and attributes much of his own personal success to an early involvement with music. His enthusiasm for the arts has resulted in the creation of several innovative youth programs and his own arts program, which provides grants to schools and community based organizations throughout the Fourth District. A complete listing of Pacific Crest’s staff can be seen by clicking HERE.